Before each concert, we share “Manny’s Musings,” thoughts from our Music Director and Conductor, Manny Laureano. This is the first of the “Musings” for the “BSO & Beethoven” concert that will be performed on Sunday, November 20, 2016. It would fairly easy to argue that being able to essentially retire in your mid-thirties a millionaire and a household name is definitive of one’s professional success but that is precisely what the composer of the opera William Tell did. 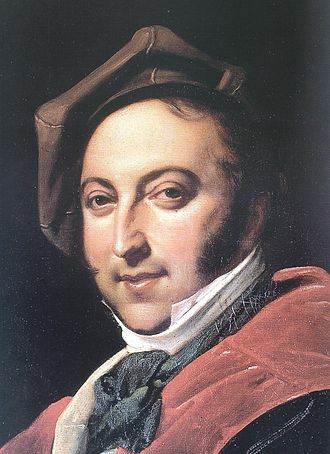 Born the son of a trumpet player in Pesaro, Italy, Rossini grew to be someone who lived to the fullest in many ways including making it to then the then-ripe old age of 76! His early studies in music included learning the horn under his father and other instruments under the instruction of local priests. By the time he began more formal studies in the city of Bologna, to where the family had relocated, he was ready to receive vocal instruction and the requisite keyboard studies he would need. By 1806 he was accepted to the Liceo Musicale. His musical career truly had an ideal trajectory from that point. From his first opera, La Cambiale di Matrimonio to his final, William Tell, his rise was meteoric as he became the standard for simple and also florid, ornate melodies that challenged the singers of the day to expand their vocal technique in order to sing his music. While his retirement was figurative rather than literal, he did some composing of non-operatic music including choral works, solo pieces, and chamber music. He enjoyed a vivacious social life and was something of a chef, creating recipes that were enjoyed by gourmands the most famous of which is Tournedos Rossini. 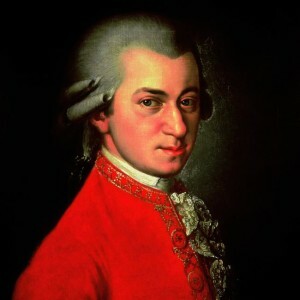 The name “Mozart” is one of those that is synonymous with great music. This comes with good reason as he was from the start a genius able to compose from the age of 5. He studied piano and violin and used these as conduits for his art writing over 600 works for varied combinations of musicians. Understand that many of these works were multi-movement in nature. Therefore, like J.S. Bach., Mozart’s output numbered in the thousands! In specific regard to his violin-playing abilities, his father, Leopold, encouraged his teen-aged son to add more spirit and fire and play as though he were the greatest in all of Europe. Whether he did or didn’t remains to be seen. Nevertheless, his legacy includes five concerti for violin, the final three of which are the most popular of the set. He wrote the last four of the five in one astonishing year (1775) of composing. This, of course, is in addition to everything else he wrote that year. The Fourth Concerto in D major has a spritely opening theme that has the characteristics of a trumpet fanfare. Leopold had tried in vain to get young Wolfgang to like the sound of the trumpet and perhaps this is a humorous reference to that lifelong disdain using an instrument he did love. The remaining themes are optimistic and exemplary of the charm we associate with Mozart’s writing. Join Music Director & Conductor Manny Laureano, for the concert, “BSO & Beethoven” featuring BSO Concertmaster Michael Sutton, who will play-conduct the Mozart Violin Concerto. The concert takes place on Sunday, November 20, 2016, at 3 p.m., at the Schneider Theater in Bloomington’s Center for the Ar.